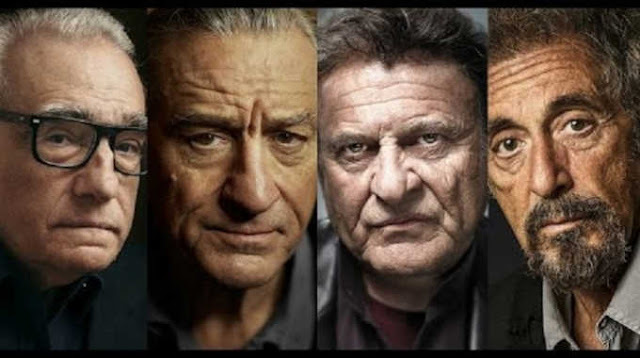 Netflix has just purchased the rights to ‘The Irishman,’ a film that will unite Robert De Niro, Martin Scorsese, Al Pacino, Joe Pesci & Harvey Keitel. The $105 million deal will be directed by Scorsese and ready for release in 2019. Based on true events the film will tell the story of Frank Sheeran, a mob hitman played by Robert De Niro. Fellow wiseguy Jimmy Hoffa will be played by Al Pacino, with Joe Pesci and Harvey Keitel also starring. The actors are very familiar with each other many having starred in past films together, however this will be the first time all involved will be working simultaneously in a film together. Netflix has secured the rights to what will likely be the most anticipated film of the century, in which they paid $105million for the rights. The deal will allow them to share the film to their 93 million subscribers and will surely boost their subscriptions.